As a member of the accounting team in Melbourne, Paul Witchard specialises in self managed super fund accounting, administration and taxation, assisting clients in both Adelaide and Melbourne with the establishment, administration and compliance of their SMSF. On a day-to-day basis, Paul is responsible for completing financial statements and tax returns, and organising the annual audit for his clients. Paul believes Dixon Advisory is a leader in the superannuation industry in part due to our drive to provide a service that is of the highest quality. Paul says, “We work very hard to ensure our clients receive the best service possible, including being kept up to date with the ever-changing superannuation environment. Our service is focused on our clients’ needs and helping them enjoy their retirement with as little stress as possible”. 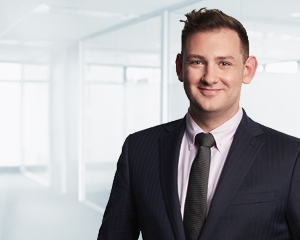 Paul holds a Bachelor of Arts from the Australian National University and is an Associate CPA.